Looking for a new lens? Let’s take a look at which focal length lens will allow you to get the shots you want. In many ways, the lens you use should be a more important consideration than your camera, as the lens will have more of an influence on the kind of shot you’re able to achieve. Whether that refers to what you can include or what you isolate, lenses dictate heavily how your final shot will look and play a huge part in the creative art of photography. Different lenses allow you to squeeze more into the shot or let you fill the frame. Lenses are also sound investments – if you pick the right glass – because while some can cost a similar price to a decent DSLR, they will retain their value for a lot longer and won’t date as quickly, either. Wideangle lenses make subjects appear further away and, as a consequence, they are useful when you can’t stand back far enough to get everything you want in shot, such as when photographing a large building, an expansive view or a large group shot. However, they also produce an apparent perspective distortion in which subjects close to the camera can appear disproportionately larger than those further away – an effect that can be used by the photographer in all sorts of creative ways. Wideangle lenses also give the illusion of placing the viewer in the thick of the action, which makes them popular with reportage and street photographers. Technically, everything wider than 50mm can be considered wideangle as it provides a wider field of view than the human eye, but traditionally 35mm or less is really considered wideangle. Another type of wideangle lens is the fisheye. These lenses tend to be a bit more niche, partly because they produce strong distortion compared to normal wideangles, with straight lines ending up curved. However, they do allow you to squeeze even more into the frame. True fisheye lenses offer an angle of view of 180°, and there are two types available – circular and full frame. 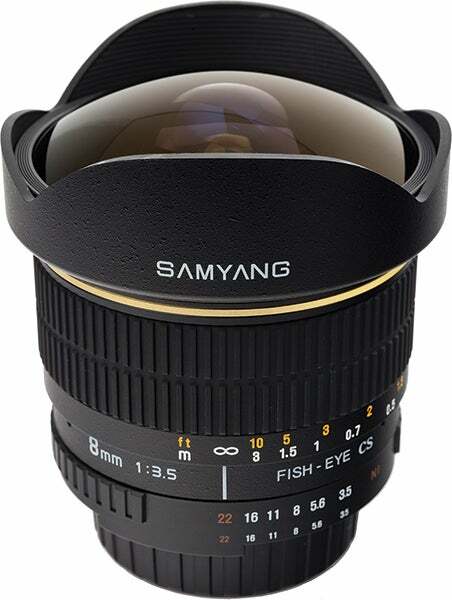 The difference between them is that circular fisheye lenses offer a 180° hemisphere view, giving a round image with prominent black corners and edges. Full-frame fisheye lenses have an image circle thats cover the entire rectangular frame, with a 180° view corner-to-corner. Some cheaper options give narrower views, of 160° or even 140°. While these lenses are fun to experiment with and there’s no doubt they can capture some striking images when used in moderation, they do have limited appeal for most users. 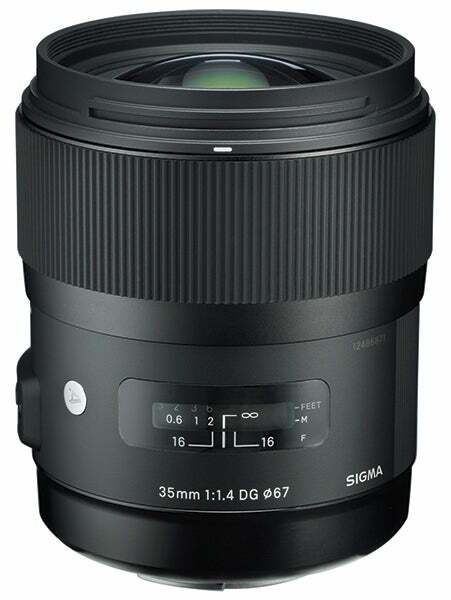 With a 50mm lens roughly mimicking the field of view of the human eye, this focal length has become known as standard. While it may sound an unremarkable piece of kit, everyone should have one in their bag. Not only are the optics sound in most cases, but it’s also good discipline to shoot with these lenses as they force you to look a bit harder for the image. With any focal length longer than 50mm, telephoto lenses have a narrower field of view than wider optics, enabling you to home in on details and magnify more distant subjects. By appearing to compress perspective so that elements further away in your scene appear to be right on top of closer ones, telephoto lenses imbue your images with a certain aesthetic quality. 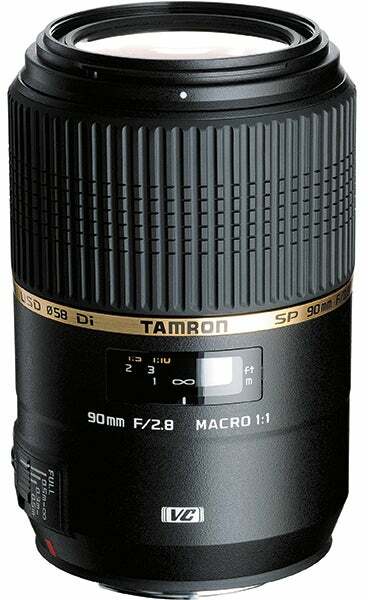 Moderate telephoto lenses (85mm, 105mm and 135mm) are loved by portrait and social photographers, as the look they produce can be very flattering to the subject while still maintaining a realistic working distance. They can also be handy for landscape photographers who want to draw elements closer together. Focal lengths of 200mm, 300mm, 400mm and beyond are popular choices, as they are perfect for photographing things that you can’t get physically close to (at least, not safely), such as elusive wildlife subjects and many sports, while allowing you to fill the frame and isolate your subject. To be a true macro lens, it must be able to reproduce the subject at 1:1 life size on the sensor, which is perfect for shooting detailed close-ups of pretty much anything. Macro lenses are versatile pieces of kit, as they can be used for other disciplines as well, focusing from infinity down to 1:1 on a single rotation of the focus ring. Common macro focal lengths are around 50mm and 100mm, although there are also a few at or around 200mm. The advantage of the telephoto macro is that you can shoot from further away, so if you’re photographing shy subjects such as butterflies, you don’t have to get so close to them – and you won’t cast a shadow over your subject, either. 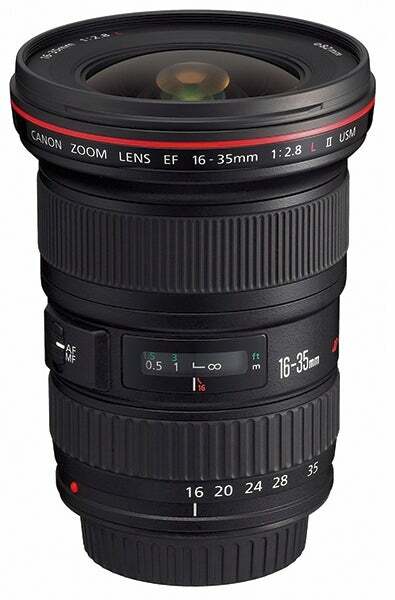 Most lenses sold nowadays are zooms, which offer a range of focal lengths within a single lens. This means you need to carry fewer of them, but they are often bigger and have smaller maximum apertures than fixed-focal-length (prime) lenses. For discerning users, the image quality is often not as good as with primes, either, unless you spend a lot of money on a fast, pro-spec model. The key advantage of choosing a wideangle zoom over a wideangle prime is that the zoom offers more control and convenience when composing an image. With a wideangle prime, you might find yourself moving back and forth to frame an image as you want it, whereas a wideangle zoom gives you more flexibility. Optically, the best ones are on a par with wideangle primes – they’re not usually much bigger in terms of size and can often cost a lot less, which seems strange when they’re generally more versatile. Most DSLRs and CSCs are bundled with a standard zoom that covers moderate wideangle to short telephoto ranges. This makes them ideal general-purpose lenses that are suitable for the majority of shots most people regularly take, from scenic views to portraits. Kit zoom lenses supplied with most DSLRs do a fairly remarkable job considering they’re designed to be as inexpensive as possible to make, so they add very little to the cost of buying a new camera. The image quality of these lenses is more than adequate for general snaps, but if you aspire to produce photos of the highest technical standard you’re better off forsaking the kit lens in favour of a premium alternative. These may be a lot bigger and heavier, but they will have wider maximum apertures and far superior edge-to-edge resolution. Expensive prime telephoto lenses are the choice of pros, but zooms offer the advantage of allowing you to get the exact framing you want. This is especially useful given that in many of the situations in which you’d use one you may not be able to move around freely. They can be a lot cheaper too. Many people are drawn to the idea of a single lens that covers every need, from 18mm wideangle to 200mm telephoto and beyond. Such an optic would avoid the need to ever change the lens, and of course you’d never get dust on your sensor. However, there are trade-offs with such lenses. In general, the longer the range, the more the optical quality tends to suffer, with lower contrast, poorer edge sharpness and greater distortion. The maximum apertures are pretty small too (as low as f/6.3 at the tele end), so you may have to raise the ISO more often to shoot handheld. However, you may find these to be sacrifices worth making, as these optics will be fine for users who want reasonably good pictures that won’t be printed too big or studied with a magnifying glass, while the size makes them a tempting proposition for those who travel. The most important factor to consider when deciding which lens to buy is the coverage it provides, which determines how much of the scene you’ll fit in or how close you’ll have to get to your subject. Focal lengths and crop factors. Traditionally, a standard field of view that’s similar to what the human eye sees is a 50mm focal length on a full-frame, 35mm-format camera. Anything wider than this is classed as wideangle, while anything longer is telephoto. With most DSLRs, however, a quick mathematical calculation has to be applied. This is because all DSLRs (with the exception of full-frame and medium-format models) feature sensors with a smaller physical area than a 35mm film negative, which results in a magnification effect to the focal length. The most common DSLR sensor format is APS-C, which requires a multiplication factor of 1.5x (1.6x for Canon DSLRs) for the equivalent focal length. 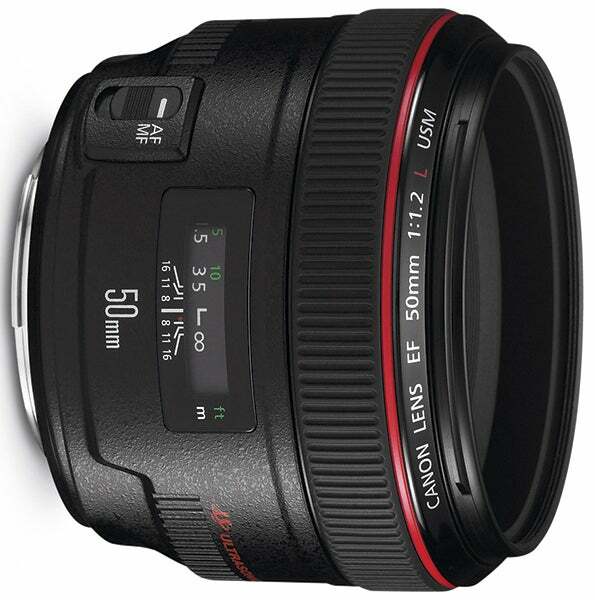 This means that a 35mm lens on an APS-C camera will give a similar angle of view to a 50mm lens on full frame. 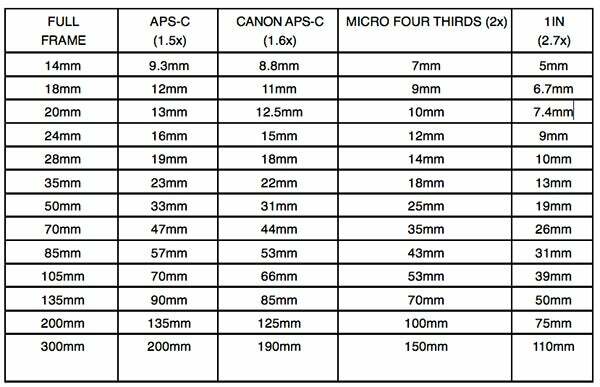 Below is a table showing which focal lengths give a similar angle of view on various popular sensor formats.